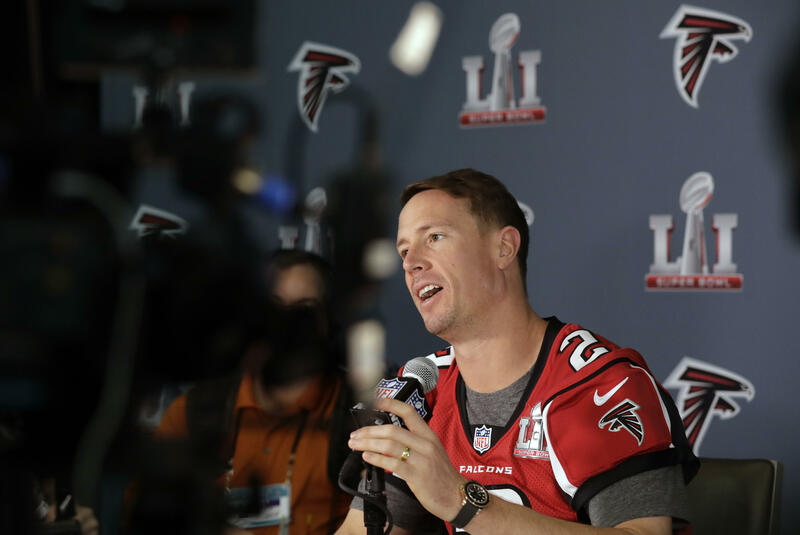 Matt Ryan’s most important muscle is his brain. NeuroTracker isn’t the only device athletes like Ryan are using to keep their heads in the game. There’s Dynavision, a whack-a-mole-like device that tests athletes’ motor skills by seeing how many flashing lights they can touch on a screen. More than 50 pro and college teams use Halo Sport headphones, which send electrical impulses to the brain to improve performance. There’s also the Versus headset, a portable brain monitor that Cleveland Cavaliers sharpshooter Kyle Korverclaims improves his focus during training. English Premier League soccer powerhouse Manchester United, the NHL’s Vancouver Canucks and the IMG Academy, where pro football draft prospects train, also use NeuroTracker and Dynavision to condition their athletes. In addition to the Falcons, several other NFL teams use NeuroTracker, according to Faubert. In a recent video, IMG’s mental conditioning coach, David Da Silva, says the device helps improve an athlete’s game. “Better attention, better awareness helps you become a better performer,” he said. Not everyone agrees these devices help improve performance. A. Mark Williams, chair of the health, kinesiology and recreation department at the University of Utah, maintains there isn’t enough scientific evidence supporting this type of cognitive function. Williams says he’s been in touch with Faubert to do research that will help not only athletes, but also people in the military, law enforcement and medicine. Faubert says Ryan visited NeuroTracker’s Montreal lab in June 2015 with the goal of improving his decision-making speed. That’s everything for an NFL quarterback, who generally has between 1.3 and 3 seconds to either throw the ball, run with it or take a punishing hit. The Falcons and Ryan didn’t respond to an interview request. But last month, Ryan told The New York Times that NeuroTracker had increased his “spatial awareness,” allowing him to scan the football field much faster. Faubert was reluctant to give NeuroTracker all the credit for Ryan’s performance, but he hopes it will help the quarterback get what he wants: a Lombardi trophy on Sunday.